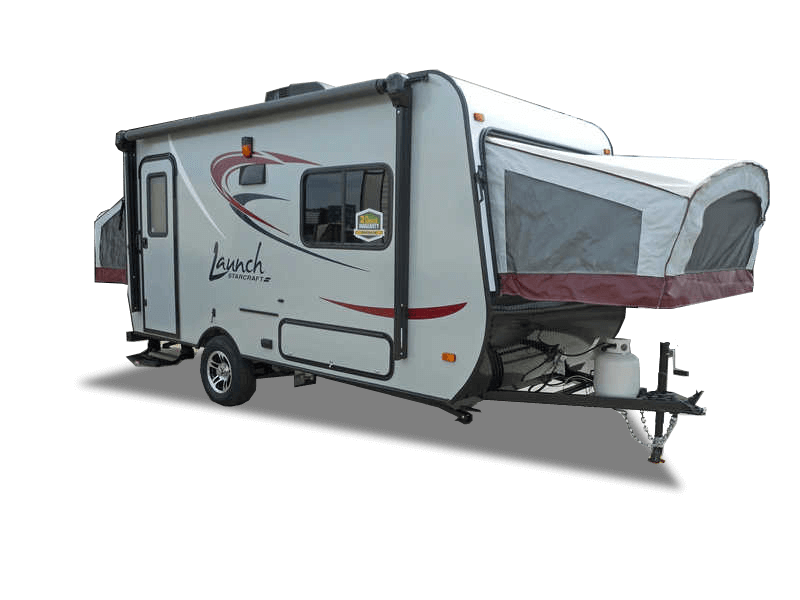 The Launch from Starcraft is an affordably priced and light weight travel trailer packed with all the comforts of home. Launch can be towed by most small to mid-sized SUVs and there are numerous floor plans to choose from. Available interior features include expandable bunk areas, 78” interior ceiling height, hardwood cabinets and tub/shower with skylight.